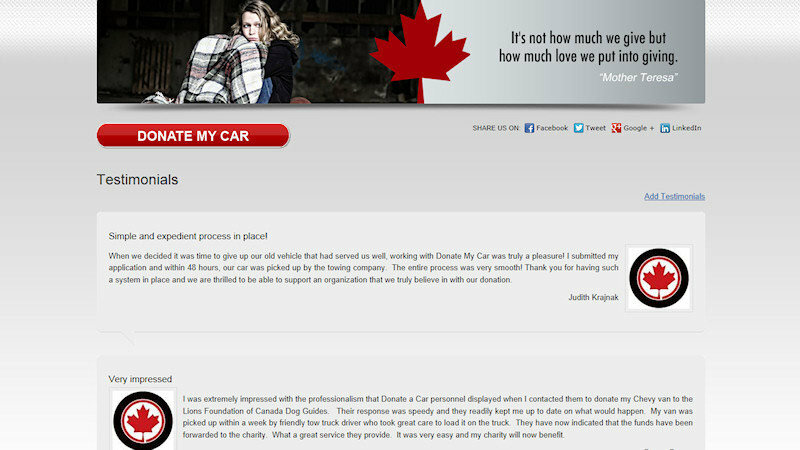 Donate a Car Canada has now made it easy for ANY Canadian Charity to benefit from vehicle donations nationwide. 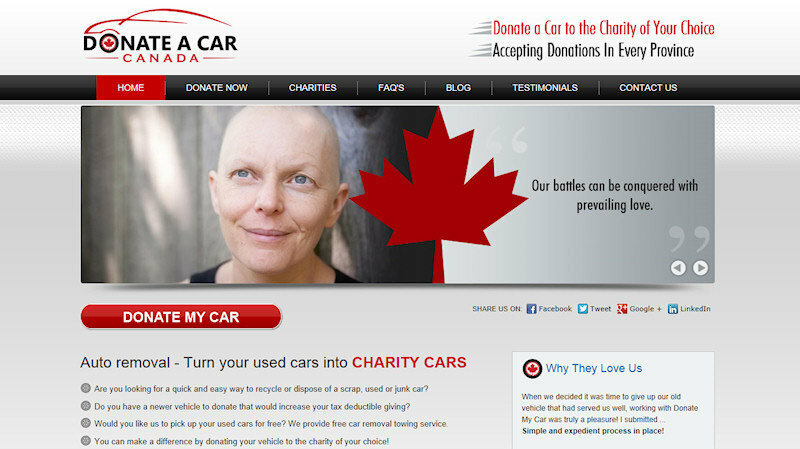 Most charities are not set up to directly receive vehicles as a form of donation. 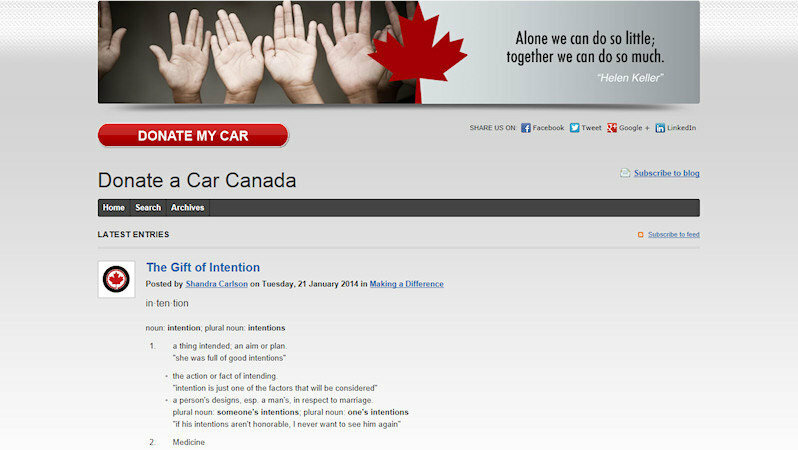 Donate A Car spent months trying to find someone to get their website done the way they wanted it & struggled with communication, concepts, designs & overall poor customer service. It was a relief when they first spoke with us because they knew they had found the right fit (read more). 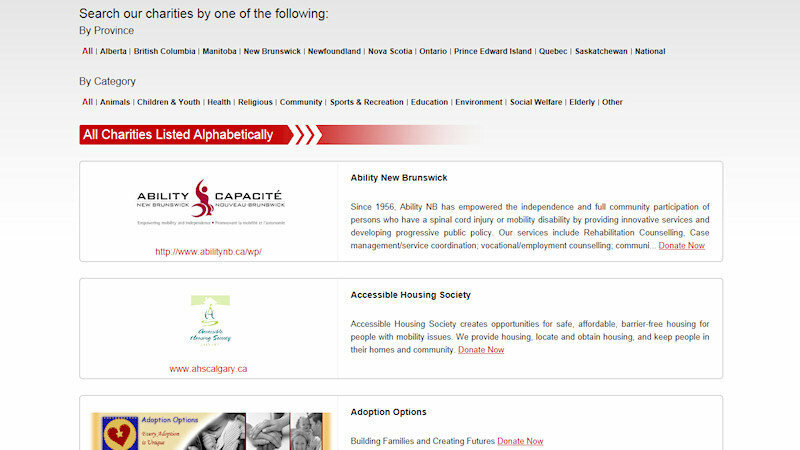 We built their site using a mix of commercial and custom add-on components to integrate with the platform. Built on an open source CMS platform. Added testimonial extension so clients could directly post testimonials on the site. Added a blog extension so they could add posts themselves and interact with users. Fetching latest donators name from database and expressing gratitude on site. Search engine optimization to get many keywords ranking on Google 1st page.